A year ago the country was gripped by election fever. Live debates between the three main parties were hitting television screens for the first time, giving voters a better chance to decide their favourite. The subsequent hung parliament result led to much posturing, with the Liberal Democrats being wooed by both Labour and the Conservatives. It became clear during negotiations that Nick Clegg’s party would not shift on their manifesto promise to hold a referendum on electoral change. Twelve months on that referendum is almost upon us and the political rows are in full swing. As the Yes and No campaigns increasingly resort to scare tactics and mud-slinging, the real issue is in danger of being lost in the fight. 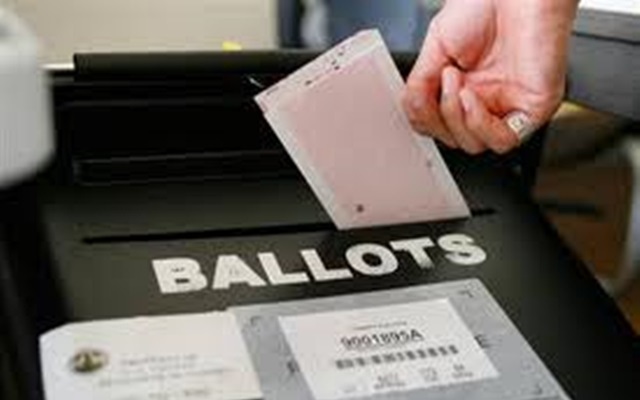 On May 5 2011, voters in the UK will be asked to choose between keeping the current first past the post (FPTP) system or adopting the alternative vote (AV). Under FPTP, the candidate with the most votes is elected, regardless of whether they reach a majority figure. One person, one vote say the No campaigners. But critics within the Yes campaign argue that this leads to wasted votes with many of the electorate voting tactically to keep out the candidate they least like. If AV were adopted then MPs would have to gain more than 50 per cent of the votes cast, either first time around or on subsequent counts, where second choices from the candidates with the least votes are considered. The Yes campaign says this will see MPs having to work harder to get elected by reaching out to a broader cross-section of previously ignored voters. The No campaign believes it will lead to more hung parliaments, backroom deals and broken promises. It has also repeatedly referred to the predicted cost of the referendum – a staggering £250m. This figure seems a little dubious considering over half of it relates to buying new electronic vote counting machines, something the Yes campaign says will not be needed. In Australia, one of only three countries in the world who currently use AV, they have managed to do without electronic counting machines for over 80 years; familiar political scaremongering perhaps? While the country is admittedly in no position to dip further into its threadbare pockets, the question could be asked as to whether this would be the case if a fairer voting system had been in place in previous elections? After all, Labour stayed in power with just 35 per cent of the popular vote in 2005. Meanwhile, two-thirds of current MPs were elected with less than 50 per cent of voters’ support. Any system where most of us are represented by an MP that the majority of us did not vote for does not seem right. Conversely, the situation where a candidate could be elected after initially finishing second or third hardly appears fair either. Along with the Liberal Democrats, the Green party, Plaid Cymru and the Scottish National party are supporting AV, even though they have all stated a preference for a single transferable vote system. Confusingly, the limitations of the current referendum have left them campaigning for a system they believe is fairer than the current one, but by no means the best alternative. With Labour undecided, who are the two main parties opposed to AV? The Conservatives and the BNP – hardly a glowing endorsement of the current system. Surely any referendum should just ask whether voters would like to see a change in the current voting system – not whether they want to keep the current system ahead of one flawed alternative. A fairer approach would be to hold a two-stage referendum, with the first element asking the electorate whether they think the current system should be changed. If the result comes in as a yes then a further referendum could be held to ask which alternative system would be preferred. Personally, I believe a system that enables proportional representation would be the fairest. One where the percentage of MPs from each party is directly equal to the percentage of votes cast. The nature of such an approach may mean there is less of a link between MPs and their constituencies. However, the opinion of the country would be truly represented in parliament and all parties would be far more accountable for their promises. As it is we are left with a choice between a flawed alternative and maintaining the status quo. A YouGov survey published last week shows that more people are swinging towards the latter: the FPTP’s 58 per cent outweighing AV’s 42 per cent. The headline results excluded those who were undecided or said they would not vote however. If these people were taken into account then the results would be a much closer 41 per cent FPTP to 40 per cent AV. Either way, with just a week until the vote and the distraction of a Royal wedding, politicians will have to rise above the mud-slinging to get their messages across. Unfortunately, PR is not an option in this referendum, so I think saying “I think such and such should be the case instead” is irrelevant to your choice in voting. I also support PR, but in this referendum, the choices are AV or FPTP. I shall be voting yes to AV, as I feel this is a fairer system than FPTP. (I would like to write much more, but cannot). AV is the simple non-proportional special case of STV when only one winner is being sought. To get proportionality with STV it’s necessary to have multi-seat constituencies – three, four, five or even more representatives elected for each – but that reduces to AV if there is only one representative to be elected. that reduces to AV, and in fact exactly the variant of AV we would have here. It’s very interesting that the Tory party had none of these concerns about some people getting multiple votes, and the principle of “one person one vote” being destroyed, when the Tory government introduced STV for the elections to the Stormont assembly in Northern Ireland in the early 1970’s. Nor did the Tories worry that STV was fiendishly complex – apparently the Northern Ireland office even issued leaflets saying something like “It’s as easy as 1, 2, 3 …” – and AV is significantly simpler than the usual STV. Nor do MPs have any fundamental objection to AV when they use it to elect the chairman of Select Committees, just as peers use it to elect their Lord Speaker, and as hereditary peers use it to elect a replacement when a member of a group has died. No worries then about it not being “one MP one vote”, or “one peer one vote”; that only becomes a worry when it’s suggested that it might be applied to the election of MPs.